Win a Lifetime of Free Camp!  Camp Moshava presents the opportunity of a lifetime — The Free Camping for Life Raffle! One lucky winner will be chosen on March 21st to receive a lifetime of free camping for one child from Matchilim through Mach Hach Wild Rose. Only $500 per ticket or 3 tickets for $1000. There will be a maximum of 250 tickets sold. Read on for more information or click here for the official flyer. Tickets may be purchased by calling our office at 847-674-9733 x12 or via our website. Click here to purchase tickets online. All proceeds from the raffle will go towards the Scholarship Fund. Tax deductions will apply. • WINNER CAN DESIGNATE ONE CAMPER TO RECEIVE ONE MONTH FREE PER SUMMER AT CAMP MOSHAVA WILD ROSE FOR ANY OR ALL SUMMERS BEGINNING WITH MATCHILIM AND ENDING WITH MACH-HACH WILD ROSE. • THE WINNING TICKET NEED NOT BE REDEEMED FOR THE 2011 SUMMER BUT CAN BE APPLIED TO A FUTURE CAMPER.